Signing up for a trail half marathon 6 days before Avalon 50 was probably not the smartest idea. But, I couldn’t help it. I have never done an Xterra race before and it’s been a while since I’ve done the Boney Mountain loop. The last time I ran it as a training run, I remembered it taking a very very long time with hard long climbs and steep dropoffs. I went into the race with a mindset of taking it easy, but who really takes it easy during a race? You get into the competitive spirit and before you know it, you’re running sub 8 the last few miles of the race just so you can beat the guy/girl in front of you. Yeah, that plan backfired and I am paying for it now. Besides, who tapers anyways? 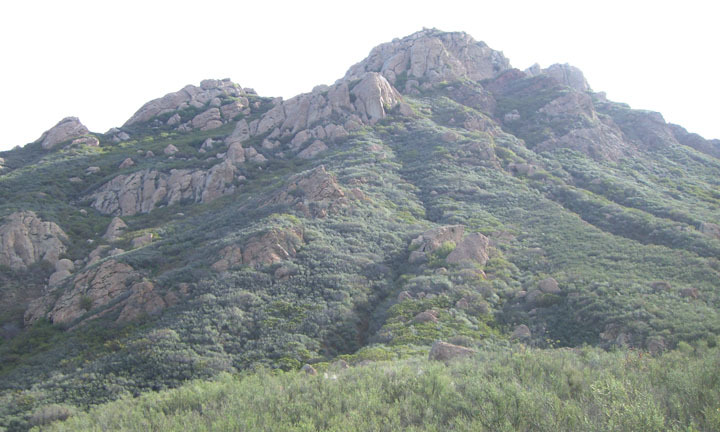 The race started in Rancho Sierra Vista/Satwiwa National Park in Newbury Park (just west of Thousand Oaks). 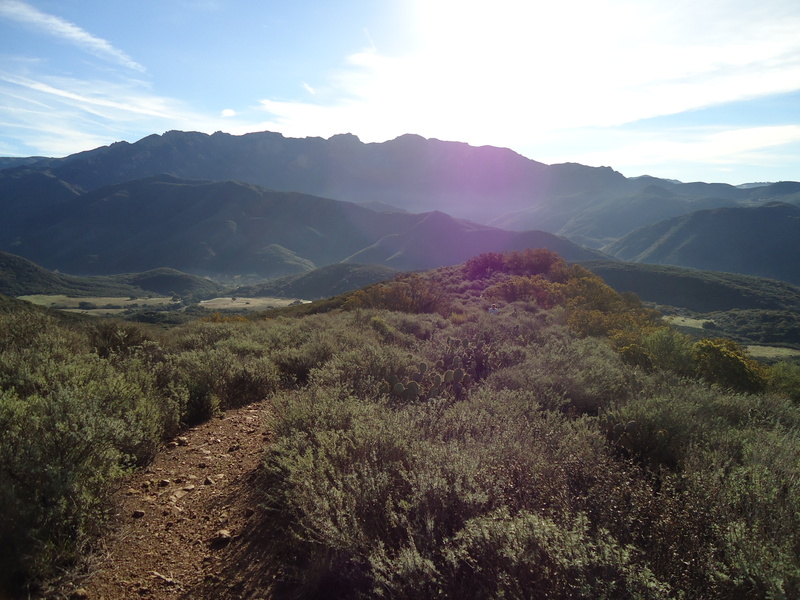 We got to experience some of the most scenic back country in the Santa Monica Mountains. Since no one could park at the race site, we arrived in this shopping plaza an hour before the race started (8AM) to get shuttled over. Me and my friend Meg were going to just run to the start (1.5 miles away) as a warm-up, but the sight of the warm bus waiting for us was too alluring so we got a ride to the start. 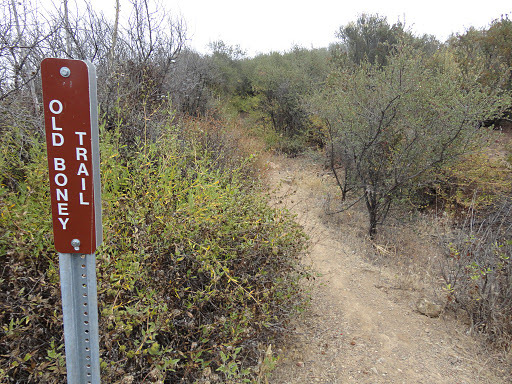 The weather forecasted 40-60 mph Santa Ana winds which made for a even more fun trail race. We were hit with a huge tailwind in the beginning of the race and a just as strong headwind the last half mile sprint to the finish. I was warned that this race would be pretty tough with a steady 4 mile climb from miles 6-10. Well, not so steady from 8-10. We started the race 15 minutes late and though it was windy, the sun was out and I knew I was wearing way too much. I took off my wind breaker 2 miles into the course and stuffed my gloves into the jacket and tied it around my waist. Here in L.A., anything that dips below 70 degrees calls for gloves and a windbreaker. We had a fairly steep downhill on the road for the first mile. I held back on the downhill even though I wanted to run faster but knew I had a tough section ahead. We had some rollers where I was able to shuffle up the climbs at a steady pace without having to stop completely to walk them. The first major uphill climb was on switchbacks which I loved seeing all the little runners ahead of me climbing up the mountain. It reminded me of climbing Bobcat Trail during Northface 50 in the dark when all you could see was headlamps. When we finally reached Mile 6, we gradually rolled upwards on a beautiful shady single track with wide views of the mountain scape. I was reminded this weekend of why I love trail running so much. Even in a race environment, you are mostly alone for most of the race and all you can do is take in your surroundings. The 4 mile climb wasn’t as bad as I remembered when I last ran this loop. I was able to run most of it, only stopping to hike up when there was a group in front of me. It helped having a couple people right behind me pushing me along. I kept asking if they wanted to pass but they said that I was keeping the pace for them. Works for me. When we finally reached the top of the hill at Mile 10, I came up behind Michelle Barton, who had won Shadow of the Giants when I ran it last year. There was no way she was racing this course as she would’ve been way in front of me. I scooted past her and bombed the downhill stretch. It felt so good opening up my stride for two straight miles. I chased this one guy pretty much the whole way until the end when he started to slow down. We had one final climb at Mile 12 where a cheering squad was waiting on top of the hill giving runners an energy boost for the final stretch home. The last mile wasn’t as steep going down as it flattened out towards the end with a little uphill before the finish. I crossed in 2:20:01, 10:44 pace and 4th in age group. I felt great throughout the race and was proud that I ran the majority of the climbs. It’s funny how differently I perceived this race because the last time I ran this loop was when I was starting to trail run. So pretty much everything with a remote climb was hard for me and I wasn’t used to running on technical sections. Overall, had a great time at Xterra with a bunch of friends who also came out to run it. Going to cut back a bit this week on mileage and get ready for Avalon on Saturday! I’m pretty pleased to uncover this great site. I want to to thank you for your time just for this wonderful read!! I definitely really liked every bit of it and I have you bookmarked to check out new information on your web site.